Are you an Indique All Star? Calling all of our Indique All Stars! 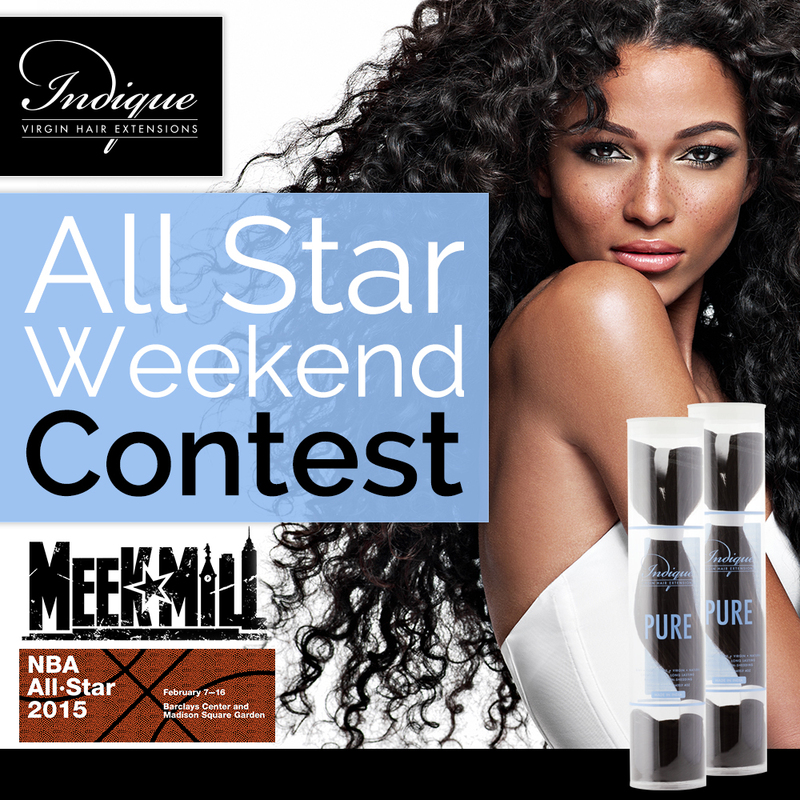 Enter now to win two tickets to “Meek Mill’s Welcome to All-Star Weekend Concert & two tubes of Indique Hair!”! 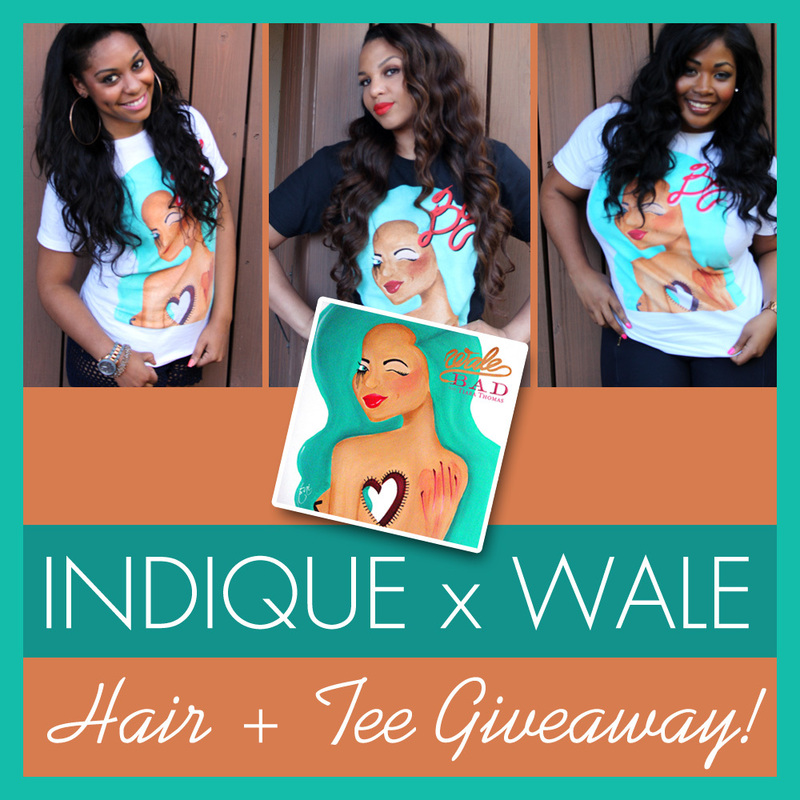 Enter the Indique x Wale Hair & Tee Giveaway! Got it bad for Wale's latest single? Repost this Indique Crew pic sporting Wale's Exclusive tee for your chance to win the Indique x Wale Prize Package! Must follow @iloveindique & @wale (twitter) & @walemmg (instagram) & include the #IndiqueWale hashtag. From Monday, April 1,2013 to Sunday, April 7,2013, repost our Indique Crew pic including the hashtag #IndiqueWale! We will choose two seperate winners, one on @iloveindique Instagram and one for @iloveindique twitter. Each winner will receive two tubes of Indique Hair and a Wale Bad t-shirt!. 3. Whoever has the most retweets wins! 3. Who ever has the most likes on their instagram wins! Indique Vacation Ready Style Challenge!- Winner Announced! 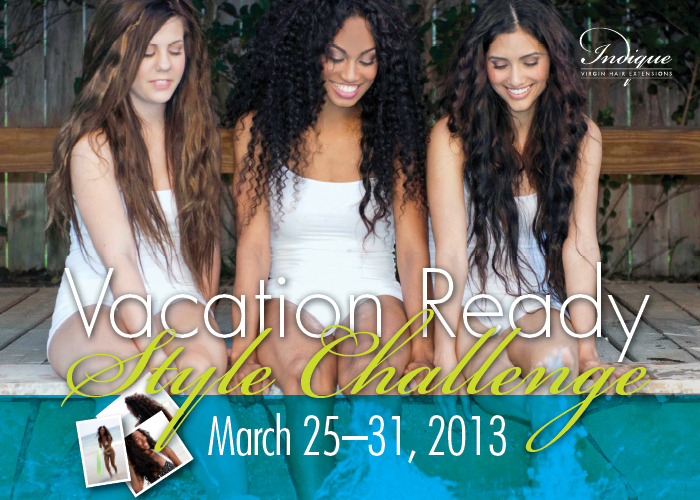 Congratulations Leah King (@Myss_Lee) for winning the Vacation Ready Style Challenge. Her Stylist is Elecia Mitchell from Van Michael Salon! 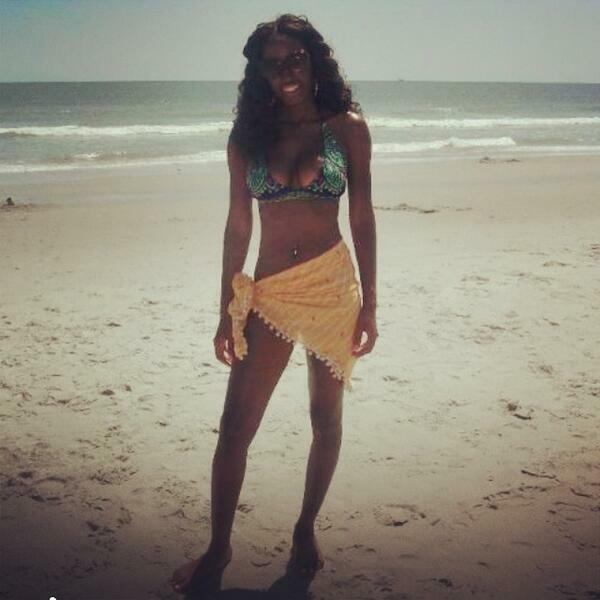 Indique & Bossip: BIKINI Blog Search Winner REVEALED! So many wonderful people have entered the Indique & Bossip BIKINI Blog Search Contest, but only one person can win. The winner is…. Born to Dance, Live Like a Star! Congratulations to @TamBamNYC for winning a tube of Indique Hair! Thanks for watching Indique Hair’s favorite, Laurieann Gibson’s Born to Dance Season Finale last night. Love Laurieann Gibson’s hair on Born to Dance? Well, you can have the opportunity to Live & Look Like a Star! During the Season Finale of Born to Dance on September 20, 2011, from 10pm-11pm EST, and we will choose one lucky winner. This winner will receive one tube of Indique Hair. Once you win your Indique, you will live, look, & feel like a BORN TO DANCE STAR! We Love Indique Facebook Photo Contest Winners! Uju, Aliyya, & Chanita! Congratulations ladies! We LOVE Indique Facebook Photo Contest! After several video submissions, Indique Hair selected our favorite Indique Queens! These three ladies all conveyed creativity, passion, & mere joy for Indique Hair through their videos. Tabitha, Alexis & Nickole, were all pampered with a Tiara, Sash and two tubes of Indique Hair. What more could a Queen need? Click here to meet our Indique Senior Prom Dream winners! INDIQUE SENIOR PROM DREAM CONTEST WINNERS! We have received hundreds of videos! Prom season is going to be amazing! Your videos blew us away! EXTENDED! ENTER THE INDIQUE SENIOR PROM DREAM CONTEST! UPDATE: INDIQUE BIG 3 HAIR WINNERS! To have a chance to win, you must tweet #EmmyHair before midnight on Sunday. Each tweet you send gives you a chance to win — so tweet as many times as you’d like! We’ll select a winner randomly from all retweeters on Monday August 30th, and announce the lucky person on Twitter. Winner pays shipping and sales tax, if applicable. Not valid with any other offer.